This range of automatic core cutting machines is ideal for customers who are looking for a high quality, accurate finish with a minimum amount of operator time in producing their cut cores. 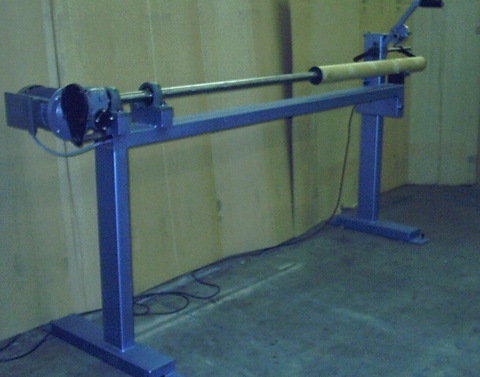 The semi-automatic core cutter shown below is designed to suit the medium to high volume user who is looking for clean, accurate cut cores with minimal operator input. Manual core cutting machines are available for cores 25mm (1"), 76mm (3") & 152mm (6") as standard. 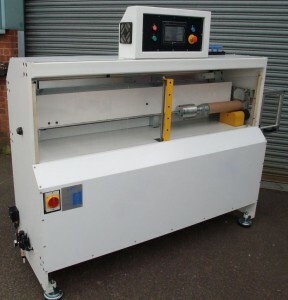 These core cutting machines can be supplied for core lengths from 1000mm up to 3000mm.